Right now I am taking a family processes class at BYU and we have been learning about the difference between family routines and family rituals. Every family has routines, or things they do daily or weekly that have become habits. For example, waking up every day, eating breakfast, walking to the corner to catch the bus, picking your kids up from school, or cooking dinner are routines -- things you do every day without much variation. Routines do not usually have deep meaning, they are just something we do because it needs to get done. However, some routines have deeper meaning. For example, maybe while you drive your daughter to school every day you talk about her life and what she needs help with that week. Or perhaps your son helps you to cook dinner every night, and the time you spend with him is time spent telling jokes or talking and laughing about your day. Then driving your daughter to school or cooking dinner has become more than just a routine -- it has become a ritual. A ritual is a routine with deeper meaning. It is very similar to a family tradition, but one you do more often than once a year. My family loves to travel to California. We often make it out there several times a year. While we often stay with family, we always ending up spending part of our trip in various hotel rooms. Somehow, when we are all together in a hotel room, we always end up watching the Food Network. I am not sure why this always happens, but it seems to be a channel that we only watch when we are all together. It is an unspoken ritual, it's not like we talk about our plans to watch cooking shows, it just always ends up happening! This time spent watching The Food Network is time we spend together bonding. We always get so into the cooking contests and it's a blissful time when there is little fighting and we are all focused on the same thing. I love this little ritual we have of watching The Food Network together. It's a time when none of my siblings are fighting and we can spend time becoming closer to each other. It's cool how something so mundane as checking into a hotel room for the night can become something more meaningful because I now associate it with happy time spent with my parents and siblings. I hope in my future family we can create meaningful rituals together that make my kids think of happy time spent together as a family. It's cool how this class is helping me to understand the importance of the little things we do every day as a family and how daily habits contribute to something bigger. 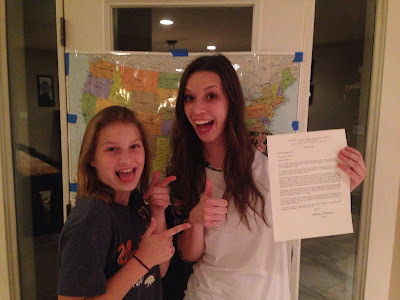 I was called to serve in the New York New York South mission. I am speaking English, and I will be leaving February 3rd. I am SO excited to serve the Lord as one of His missionaries. I know the Gospel is true, and I just love it so much! 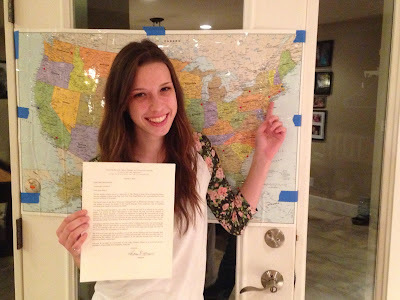 I am so grateful for the Savior's Atonement and the trust He is willing to place in me as I serve as a missionary. His grace is real, His mercy never ends, and His love never fails. YOU are SO important to Him. I'm probably not going to have my letters posted on here, since I'm not really sure people stop by my blog anymore (my fault, I know). If that's not true and I should consider having my mom post them, let me know. Thank you for all the kind words and love over the time I've had this blog. I know I haven't been posting lately (sorry! ), but please know that I am grateful for you. This blog really made a significant impact on my teenage years. One of my favorite quotes from General Conference (here!) was Bishop Caussé's quote, "Is the gospel still wonderful to you?" Such a powerful question to ponder, especially considering the fact that he spoke on Easter sunday. As much as we remind ourselves and others that "Easter is about Christ," do we really feel it? Do we really take time to fully appreciate the Savior's infinite Atonement and what it means for us? The answer is NO - no one truly appreciates it enough. 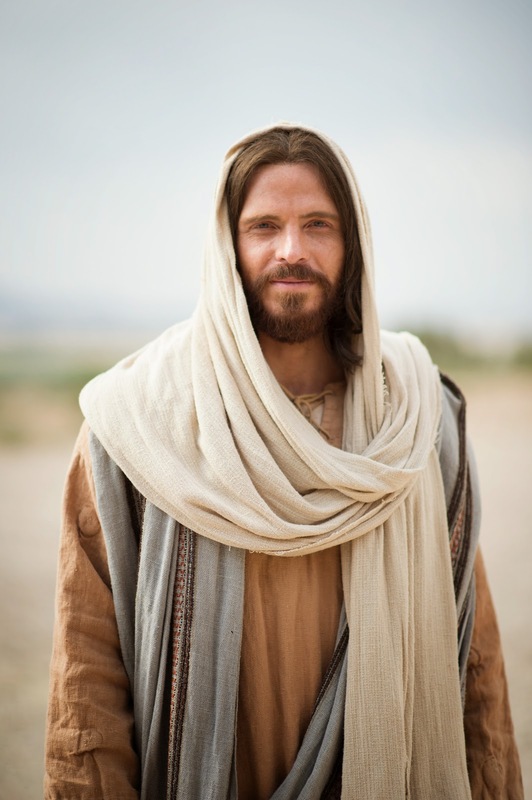 You see, as I've pondered the Savior's life a little more than usual these last few days, I've come to more fully understand that no one could possibly appreciate the Atonement, the Resurrection, or the Savior's life and ministry as a whole enough because we simply can't. We literally can't because we don't have a wide enough perspective. The Atonement was everything to mankind. Everything. Think of the best thing that has ever happened to you in your life. Think of the one thing that brings you the most joy. It's a part of your life because of Christ. You couldn't even be here reading this without Christ. The Atonement was a perfect gift. It was infinite sacrifice. It was the purest manifestation of love the world has ever seen. And somehow, it was more. The Savior's Resurrection was nothing short of miraculous. It epitomized the words wonderful and marvelous. It is the reason bereaved individuals everywhere can continue to live with hope. And somehow, it was also more. Friends, the gospel truly is wonderful. And the gospel is more than just the scriptures, sacrament meeting, and temple attendance. It encompasses more than the restoration story, it is more than the ten commandments. It is more than any words I or anyone else could ever put down on paper. It's more than your mind could ever conceive. The word "wonderful" doesn't even begin to describe the gospel. But because all we have are our words, as humble as they may be, descriptors like "wonderful," "marvelous," "breathtaking," and "amazing" will simply have to do. But I hope you know that the gospel is more. The Atonement was more. It was the most important event to ever happen in the history of all the earth, and yet, somehow, it was still more. Thank you, Jesus, for who you are and for what you did. And for what you are still doing. I am so grateful. I hope you all had a wonderful holiday season, considering I haven't blogged since before then (yikes, sorry). Anyways, I wanted to share this music video since it is the CUTEST thing I have ever seen! I can't stop listening to this song! I love, love, love this video and the message that accompanies it. Everyone goes through periods of time where they feel discouraged or unworthy. Sometimes we feel like we aren't worth anything or like our efforts aren't enough. We do sometimes feel broken, empty, and lonely. But it is okay, because Jesus Christ knows that and He is constantly waiting for you to turn to Him so He can heal you, fill you up, and be your friend. I know that Jesus Christ is the Savior of the world! Everything that we do when we are actively practicing our religion points to Him. Everything! He is the all-powerful King of Kings and Lord of Lords. He is graceful and merciful and unchanging. He is mighty to save. He is loving and compassionate and feels so deeply for every one of us. I am so, so grateful for His presence in my life. I can definitely notice the times when I am close to Him and the times when I am more distant. Let me tell you, it is so much better to choose Christ! Choose to learn of Him and follow Him and think of Him. Always. I so very humbled and filled with love and praise whenever I think of the beautiful gift of redemption and peace that He has offered me. I will worship Him always because He "floods me with mercies in the morning and drowns me with grace in the night" (here). Thank you, Lord, for making me a better and more complete person. Thank you for offering peace and renewal when I ask for it. And thank you, readers for sticking with me and supporting me even when I am inconsistent with posting. It is so hard to find the words to express adequate praise and gratitude to the Lord, but I hope that He knows - and that you know - that I love Him. I hope that you never forget that you are not alone, you are not unworthy of Christ's love, and you can always find truth and light if you look for it. 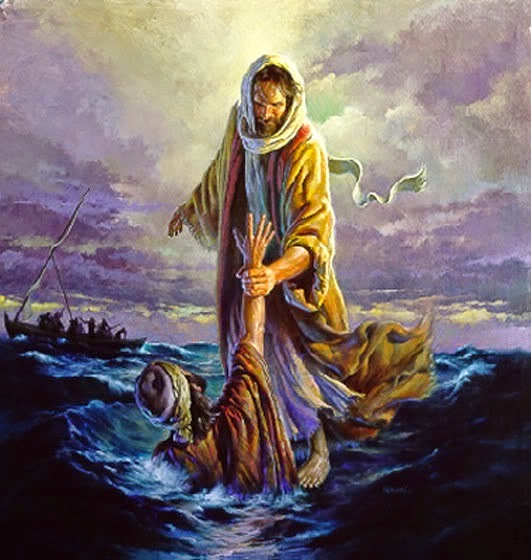 I know that Christ will always be there to pick you up when you feel broken. His arms are always outstretched and He's never failed anyone. Ever. 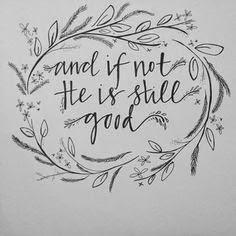 We just have to choose to focus on Him more than all of the other crazy things that are always going on in our lives. Choose Jesus and make this one a great day! What is your faith based on? You might say, "I have faith that God will bless me if I follow the commandments." Or perhaps, "I have faith in good times to come," or, "I have faith that God will deliver me from my troubles." Well, that sounds great. But what if you don't feel like you are being blessed? What if good times don't come? What if trials and tribulations follow you around your whole life, and no matter how hard you try, you can't be rid of them? What then? Is your faith going to disappear the moment your life takes a turn for the worst and you feel like God has stopped blessing you and answering your prayers? 17 - If it be so, our God whom we serve is able to deliver us from the burning fiery furnace, and he will deliver us out of thine hand, O king. What do you think these men based their faith on? Signs, miracles, and God-given perfect lives? Do you think they expected things of God like some people do today (and surely also did back then)? No, I think their faith was based on something higher - trust in God, His plan, and His timing. God would rescue them from the fire, but if not - if that wasn't His will - then they would worship and trust in Him still. Friends, life doesn't always go as planned. Sometimes we are asked to endure a very hard trial, and no matter how often or how hard we pray, sometimes things don't get any easier. Why? Well, sometimes we are asked to endure trials because they strengthen us. We learn to trust in God and we gain perspective when we experience challenges. That's how it should work, anyways, but some people don't let themselves be strengthened. They choose to give up on God and let go of their faith. Will this be you? Are you going to hold on to faith as long as things go your way - but let go as soon as God's will doesn't line up with yours? Or are you willing to trust that God is all-knowing, infinitely loving, and always has a plan? He does always have a plan. He is always looking out for you. He is forever waiting for you to stretch out your hand and commit to follow Him no matter what. I will choose to follow the example of Shadrach, Meshach, and Abed-nego. If not, I will trust in Him still. I will not succumb, I will not let go of my faith. Because my faith isn't founded on a perfect life. It isn't founded on the belief that God will always fulfill my wishes. My faith is built on something higher. My faith is in God's will, God's plan, and God's timing, not my own. Let us all choose to follow the example of Shadrach, Meshach, and Abed-nego and have faith in God no matter what He has planned for us. With Thanksgiving and the holiday season coming up, I've been thinking about living with gratitude and serving others. I found this video today and I really liked it because it reminded me to hold dear everything God has given me. I know that I am so blessed and have so much to be grateful for. This video reminded me that I need to be expressing my gratitude more often. I want God to know every day how grateful I am. I don't want to wait until a really hard challenge comes my way before I start praising God and showing thankfulness. D&C 42:30 - And behold, thou wilt remember the poor, and consecrate of thy properties for their support that which thou hast to impart unto them, with a covenant and a deed which cannot be broken. Consecrate means "to make or declare sacred; set apart or dedicate to the service of a deity." 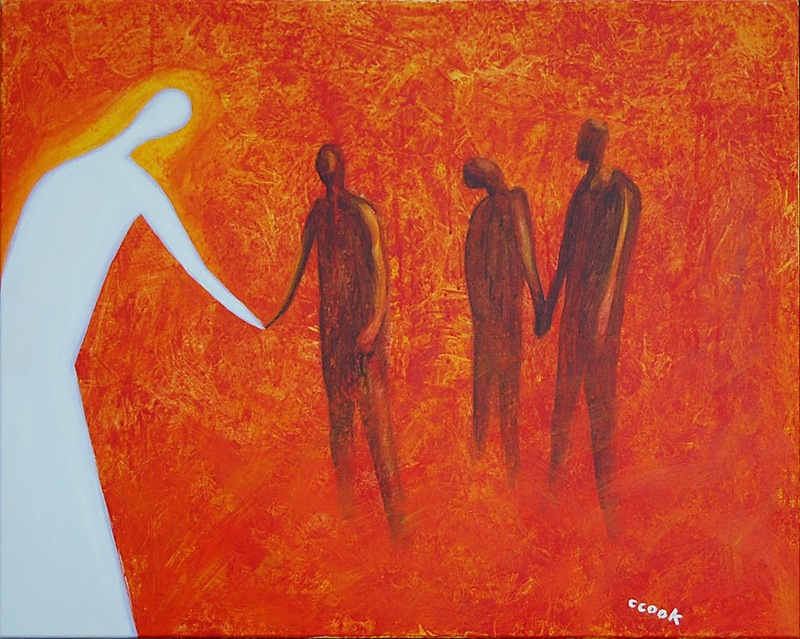 So what does it mean to consecrate of your properties for the support of the poor? I liked what the man in this video said - "live simply so other people can simply live." What this verse taught me is that I should dedicate everything God has given me to the service of others. I have been blessed so abundantly, and I know that Heavenly Father wants me to use the resources I've been given to improve the lives of others. What an amazing calling - to be able to show your gratitude by dedicating all that you have to the service of others and therefore to the service of God. I am so grateful for this time of year because the holiday season fills our hearts with the spirit of gratitude, love, and service. Let us be grateful servants all the year round. Decide now to dedicate all that you have to the service of God. Today in Sunday School, my teacher asked, "how many of you could stand with true confidence before God?" We all just sorta sat there, none of us knowing how to answer. All of us were afraid to say, "ooooh!! ME!! Me, I definitely could!" How could any of us truly feel that way?! Well, after thinking about it for a second, you know what I think? I think Christ is more understanding than we could ever imagine. He knows our doubts. He knows our insecurities. He understands how hard life is because He has felt everything we have. He knows pain. He knows fear. He knows you individually. He knows of your sins. He knows of your sorrow. But most importantly, Christ knows your heart, and He loves you. He loves you because you try. He loves you because you love Him. Actually, even if you don't try, even if you don't love Him, He loves you anyways. He loves you because you are you. He doesn't need any other reason to love you than that. You can never escape Christ's love. Ever. So many of us feel weighed down by sin. We feel like we aren't committed enough or we feel that we don't accept Christ enough. We feel like we don't have the Spirit enough, like we don't help enough, like we don't pray enough, or like we don't repent enough. Or maybe you do repent enough. But maybe you still constantly feel worthless and guilty. You are constantly praying for forgiveness, and yet you aren't willing to accept it when Christ offers it to you. I feel that sometimes. I feel and do all of these things all the time. But I shouldn't! And you shouldn't either! My friends, Christ loves you for you. I love the above video because the woman came to Him a sinner. She came to Him in her imperfections. She came to Him feeling guilty and unworthy. She looked at the ground when He spoke to her, and I'm sure she didn't feel confident. But what happened? Did Christ yell at her? Denounce her in her wickedness? Did she spontaneously burst into flames? No! "Neither do I condemn thee," He said, "go and sin no more." Don't let sin weigh you down. Christ performed the Atonement so that you could overcome sin. So let Christ's grace into your life! Utilize the Atonement and accept the love and forgiveness always available to you. I am not saying that it is okay to sin. Living a righteous life shows Christ that you honor Him and are respectful of Him and want to draw close to Him. The less you sin, the happier you will be, and certainly the more confident you will be. What I'm trying to say is, you will never be perfect. Don't let minor imperfections make you feel worthless and thoroughly unconfident. Christ loves you for trying. He loves you even if you sin. So make a choice to start feeling confident and proud of your efforts. Never stop trying to be better, but also don't spend your entire life thinking, "hopefully when I'm 80 I'll get it. I'll be perfect then." Friends, you will feel the same way at eighty as you do now. Learn to love yourself and be proud of your efforts now. So could I stand before the Lord in confidence? I think so. Not because I'm perfect, but because I know that He is. I would stand before Him imperfect. I would stand before Him a sinner. But I would stand before Him in love and submission. I know that He loves me for me and He loves me because I try and I strive hard to be the person He would want me to be. So I'll keep pressing forward. I'll keep begging for forgiveness. I'll keep trying to be better. And I'm going to be happy with that. I'm going to choose to live with trust, with gratitude, and with confidence. Can you tell from my lack of posting that I am really getting back into the swing of school? General Conference took place last weekend. If you missed it or just want to review some of the talks, click here! I wanted to talk about one of my favorite things said during General Conference last week. First, I should probably add that I had some things bothering me that I had prayed about before General Conference. I am a SENIOR now, and it won't be too much longer before I have to leave my family and go away to college. I know that it's for the best and that I will be starting an exciting new chapter in my life, but right now I'm really really dreading it and I feel sad and afraid. I know that a lot of kids feel nothing but excitement to go out on their own, but that is definitely not me. I'm a huge home-body and will be leaving behind not just my home, but my parents and all of my siblings. I know that I can always come home if I need to, but a lot will still change, and I really feel sad about it. So, that being said, one of the things I prayed for was that I could somehow feel okay about leaving my home next year. "The Savior, the only perfect being who ever lived, was the most FEARLESS." 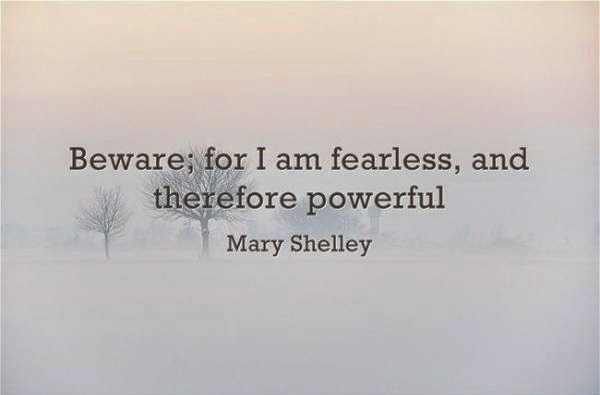 The most fearless. Christ endured so much pain, so much scorn, was tempted, was tried, and yet He was fearless through it all. Life isn't always - or even usually - peachy. Most of us are probably constantly worrying about something, whether it is something large or small. But fear can be very debilitating. Fear can keep us from Jesus Christ. Even though He has promised that He will carry our burdens, we usually don't let Him! We choose heaviness and fear instead of joy and faith. We choose to feel anxiety instead of feeling liberated through Christ's grace. We must remember to let go and let God take care of things. I promise - I promise - that He knows what He is doing. I've seen it in my own life, dear friends. I've endured hard things and asked God why I am asked to bear the burdens I am given. But, in time, I always find that everything works out for my good. Sometimes I have to remember to keep an eternal perspective. We won't always be blessed for enduring our trials in this life, but I know that with God, everything is one eternal round. We are not earthly beings, we are heavenly beings. We came from God's presence, and if we endure well, we will return to God's presence. When you think of it that way, our earthly fears seem like such trivial matters. I want to spend my whole life trying to live like the Savior. I am so, SO not perfect, but every day I am trying to develop Christlike attributes. So, after hearing this talk, I've decided that the next attribute that I need to work on is fearlessness. Join with me? We all have something we are trying to overcome. I don't know you, reader, but I know that there is something in your life that makes you afraid. The beautiful thing, though, is that we don't have to be afraid. We can give Christ our burdens and choose to live as He did. Fearless. So, with that, I will face the next year of my life with my eye single to the glory of God. I will remember Christ in all I do. I will follow His example and I will be fearless. I will have courage to move forward, and I am going to choose to feel excited about my future. We all have bright futures. 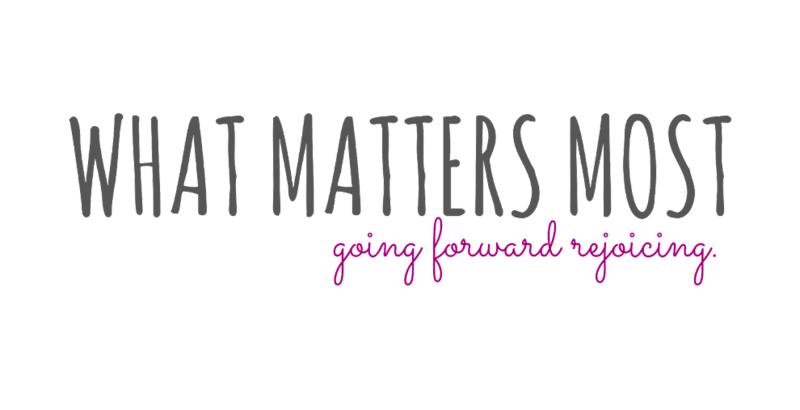 It doesn't matter what is going on in your life or what has gone on in your life. You can be fearless too, because you have so much going for you. Christ will never leave you comfortless, and He will always help you to have courage. I was a brand-new teenager and had just experienced profound loss. It felt like the world was falling apart. But I said God was there. I said He cared. Sometimes I hear negative words. I hear the church being criticized. Sometimes doubts creep into my mind. But I tell myself: I know what's truth and what isn't. God is truth. He is light. I really struggle making choices. "I need some direction!" I cry. It feels like He isn't listening sometimes. But I say to myself, God cares. He's aware of my life and won't let me make the wrong choice. He listens to me. The following is an excerpt from the book Life of Pi by Yann Martel. If you aren't familiar with this book (now movie), our protagonist Pi is floating on a lifeboat in the middle of the ocean with a 450-lb. tiger named Richard Parker as his only companion. "Sometimes my heart was sinking so fast with anger, desolation and weariness, I was afraid it would sink to the very bottom of the Pacific and I would not be able to lift it back up. "And in this way I would remind myself of creation and of my place in it. "But God's hat was always unravelling. God's pants were falling apart. God's cat was a constant danger. God's ark was a jail. God's wide acres were slowly killing me. God's ear doesn't seem to be listening. "Despair was a heavy blackness that let no light in or out. It was a hell beyond expression. I thank God it always passed. A school of fish appeared around the net or a knot cried out to be reknotted. Or I thought of my family, of how they were spared this terrible agony. The blackness would stir and eventually go away, and God would remain, a shining point of light in my heart. I would go on loving." I really loved this chapter. The reason I share it with you is this: God doesn't always seem to be listening. Sometimes we get swallowed up by all of the awful things going on in our lives. Sometimes our doubts overwhelm us and God doesn't make sense anymore. This happens to EVERYONE, do you hear me? Everyone. The important thing is that you remind yourself - sometimes even verbally, as Pi did - God cares. He hears. He knows. Even if you don't feel like it. Even if you can't see it. You already know. God has made manifest the truthfulness of Himself and His gospel to you before. He didn't suddenly cease to exist. It's just that the world is a tumultuous place sometimes, and it's easy to lose track of what's real and good and what isn't. Be the one who's willing to show God that you'll hang in there. Even when it's hard. Even when you feel far away from the Spirit. Hang in there. Keep the faith. Reach out. Be the one to exclaim, "Lord, I believe. Help thou mine unbelief." We all struggle with unbelief sometimes. Push through. Carry on. Remind yourself of God's goodness. It might take a minute, it might take a year. But I promise that God WILL help take care of your unbelief. Thanks for sticking with me. I love you all, hope you had a great weekend!